Like how we take care of our physical health through periodic check-ups, inspecting the financial health from time to time is very important. We tend to look at what we eat, how we keep our lifestyle in order to have a healthy life. In the same way, having a disciplined way of managing your portfolio will safeguard your future spending, earning and saving. Personal finance management helps to plan our future appropriately. 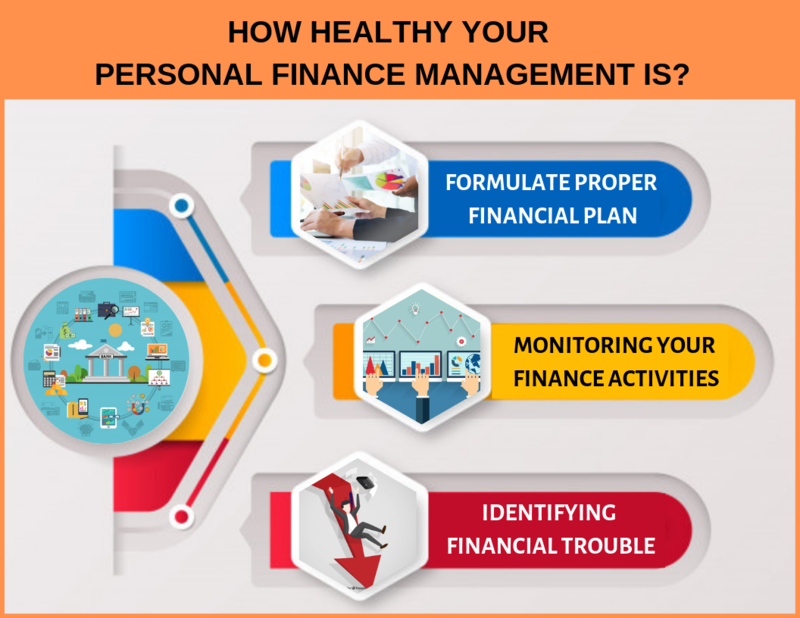 Read ahead to understand how one can analyse their personal finance strength with some easy to do ways. I have seen families starting their monthly expenses after budgeting. They allocate a particular amount for each fixed expense like rent, education fees, petrol, commuting, etc., But, if you ask me how many of them check at the end of the month whether the money they spent on each task matches with what they budgeted. My answer is ‘not so positive’. This can be achieved by simply, but unfailingly following two steps. Attaining financial goal is like a journey. Planning is necessary if you want to travel from one destination to another even within a city. Because planning gives us proper,safer and easier route to reach our destination. Likewise, planning is necessary in order to reach your financial goals which include but not limited to retirement benefit, healthcare etc. Group them to make a considerable financial plan to secure your future. After making financial plans, the most powerful process in personal finance management is supervising or monitoring the activities. Identifying risk is an essential part in personal finance management. Extra penalty towards late payment fees such as rentals, maintenance, electricity bill payments, telephone and cable charges etc. Not keeping minimum balance in bank accounts. Many times, financial urgencies like illness, loss of job, family changes, long term disability, legal problem cause finance crisis. Understanding the tactics to handle un-avoidable debt is very important in personal finance management. Not able to manage debt go to the extent of suicide. In case of insolvency, reach out for expert’s guidance instead of taking any foolish step. There are legitimate ways that can help manage bankruptcy or unavoidable debt.